The battery-operated Fluval AquaVac Plus Gravel Cleaner has two practical functions. As a cordleΒ gravel cleaner with replaceable filter elements, it is perfect quickly and effectively cleaning your aquarium. 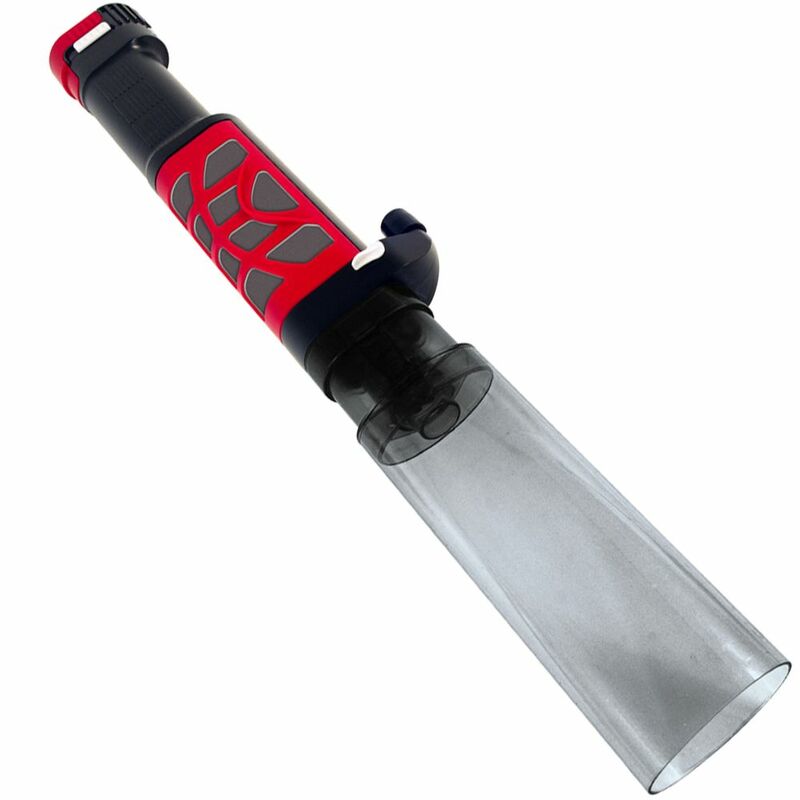 The water-changing function can be activated simply by attaching a hose and adjusting a lever. The Fluval AquaVac Plus then allows you to easily empty the aquarium without water going everywhere, perfect for regular water changes. The suction function with its handy pump collects and removes particles of dirt such as sediment from the bottom of the tank. Plant remains and organic residue remain in the filter cartridge as the water paΒes through the filter and back into the aquarium. This can increase the time between water changes and reduce the overall maintenance needed for the aquarium. Fluval AquaVac Plus Floor Cleaner at a glance: CordleΒ 2-in-1 gravel cleaner for cleaning the bottom of the tank, with water-change function Powerful suction function: ideal for removing plant remains, food waste and large particles of dirt With water-changing function: makes it poΒible to empty the aquarium without water spraying everywhere Integrated filter cartridges with filter fleece and a soft foam insert: guarantees a quick and efficient clean as the water paΒes through the filter Cleaning the aquarium floor reduces total effort of maintenance and means the water needs changing leΒ frequently For fresh- and saltwater aquariums Retractable hook for hanging up Easy and safe to use Security grip Waterproof on/off switch CordleΒ and battery-powered Included: 2 C-batteries lasting up to 4 hours Waterproof battery-compartment Powerful suction pump Maximum flow capacity: 280 l/hr For aquariums up to 91cm deep Guarantee: 2-year Material: plastic Dimensions: Total: 9 x 9 x 38 cm (L x W x H) Long suction pipe with wide opening: 20 cm (L) Mini suction pip with wide opening: 10 cm (L) Hose: Diameter 12 mm x L 1. 2m Please dispose of used batteries responsibly. Recycling is a great way to help protect the environment. What's this?.